Unlicensed business software used on PCs is very widespread worldwide. 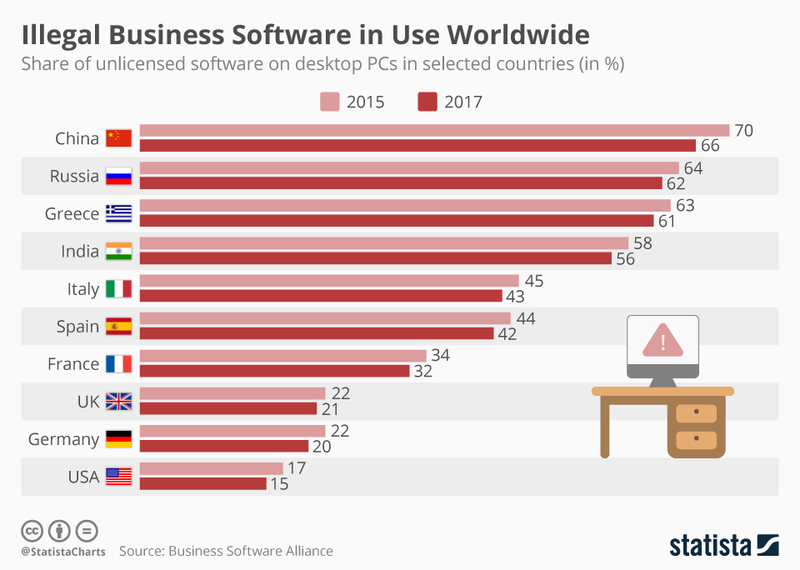 According to findings by the Washington-based Business Software Alliance (BSA), up to 66 percent of software on PCs in China is unlicensed. In the U.S., the share stands at 15 percent, which translates into a commercial software value of some $8.6 billion for 2017.